Digital billboards are an exciting high-tech twist on traditional static billboards. Enjoy some of our images! Please browse our online picture gallery. See what Bing can do for you! We reach the on the go audience! Bing Outdoor Media is committed to helping you achieve goals that you have set for your business. Browse our videos for great views of some of our signs! 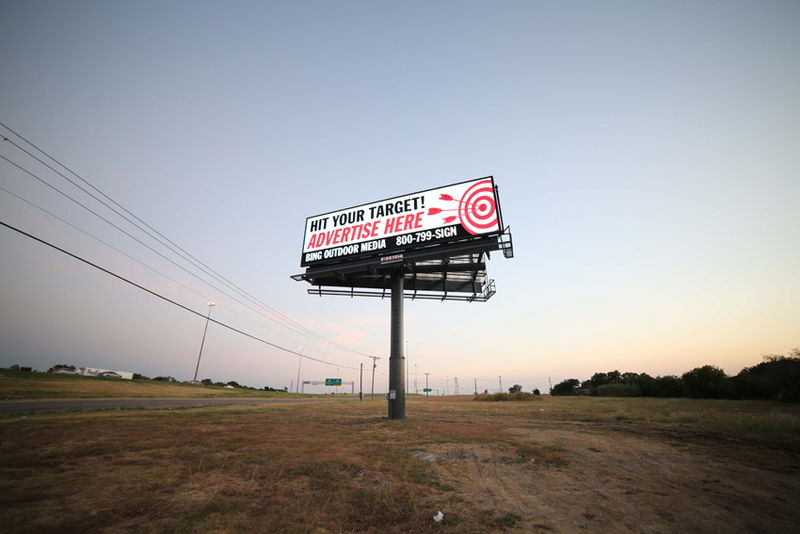 We are a billboard advertising company specializing in helping businesses just like yours grow and achieve goals by offering superior advertising solutions. "I know Lee Woody to be a smart and aggressive deal maker, an excellent manager and marketer and a capable financial analyst. Lee's dedication to sound business principles and his integrity is obvious to everyone who works with him." "Craig Holmes is a virtual treasure trove of knowledge, information and network connections in the Outdoor Advertising industry! Craig's entrepreneurial professionalism is refreshing. He is a man of integrity and manifests a superb can-do attitude when undertaking new projects. I look forward to continuing to work with Craig over the long run."